Finding true happiness doesn't have to be hard. It can be as simple as a few steps. First, laugh. 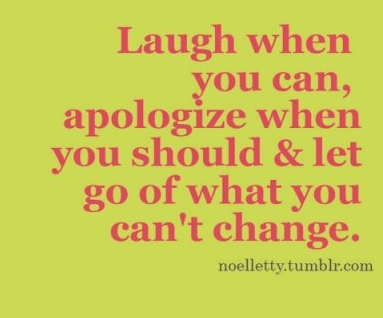 Laugh when you can. 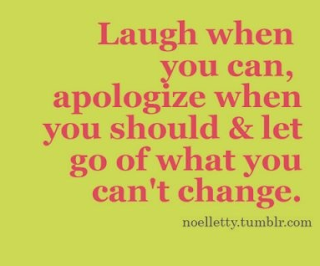 Try to laugh every day and make sure you do all you can to keep a smile on your face. Second, apologize. Don't be too proud to say "I'm sorry." Be willing to accept when you are wrong. Third, be willing to let go of what you can't change. There are things in life that you have no control over. No matter how much you try, things will end up one way or another. Just accept those things and move on. You will be much happier.